Room for four and a whole lot more. Our new interior features durable, comfortable seating for four with fully adjustable driver and co-pilot seats. We set out to create a well-appointed interior all the while keeping in mind the practical aspects of everyday use in a multitude of environments. All new dash and control systems make for easy operation to confidently navigate in a variety of trials and terrain. We know that a vehicle with this much versatility starts at the foundation. Frame dynamics, design and components are well thought out and executed to exact specifications. Choose your favorite drive or explore a bit into the unknown – the Reeper 4 versatility gives you the freedom to go there. Reeper 4 power comes from a 4 cylinder Chery water cooled 4-stroke motor that delivers ample smooth power for multiple terrain demands. Stop in and Pick Your Color Today! 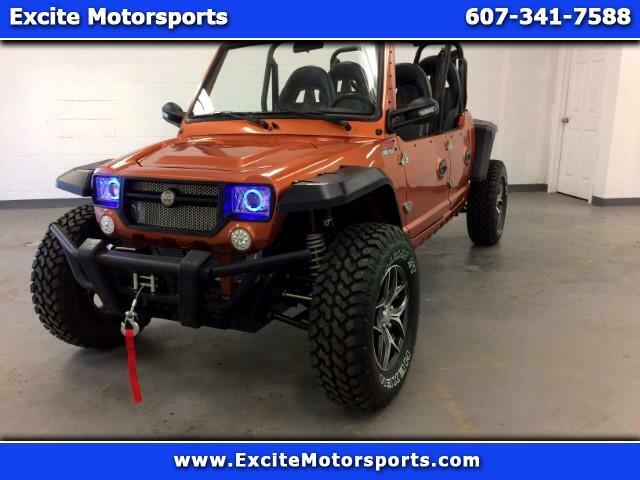 Visit Excite Motorsports online at ExciteMotorsportsNY.com to see more pictures of this vehicle or call us at 607-341-7588 today to schedule your test drive.